Whether you're dressing up as a troll, an ogre, or even your creepy neighbor, this mask is the perfect way to complete your costume. Color in the blank face to make a truly custom mask. 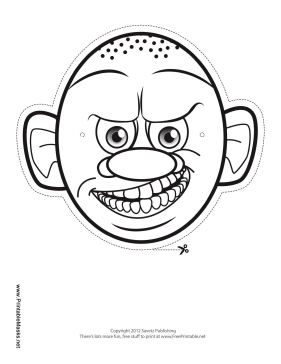 This mask is free to download and print.